TRAVEL.org - Belgium. Find Hotels, Tours, and activities throughout Belgium. Benelux Car Rentals - Welcome to Beneluxcar.com rent-a-car. We can help you find the perfect car for your road trip. First Car Hire Belgium - Get cheap car rentals quickly and securely online with Firstcarhire. 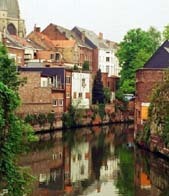 Brussels Hotels and Accommodations - Discounted rates on Hotel rooms, Car Rentals, Flights, Vacation Rentals. Discountedhotels.com, your complete travel resource. Best Western New Hotel De Lives - (Namur) A 1st Class Hotel on the banks of the River Meuse. A fully-restored Manor house from the 15thc. See 360° photos. Apartments2Book.com - Personalized alternatives to hotels for long and short term stays in Brussels.